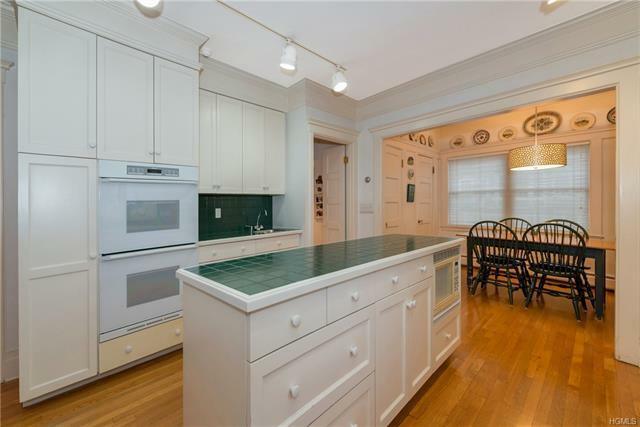 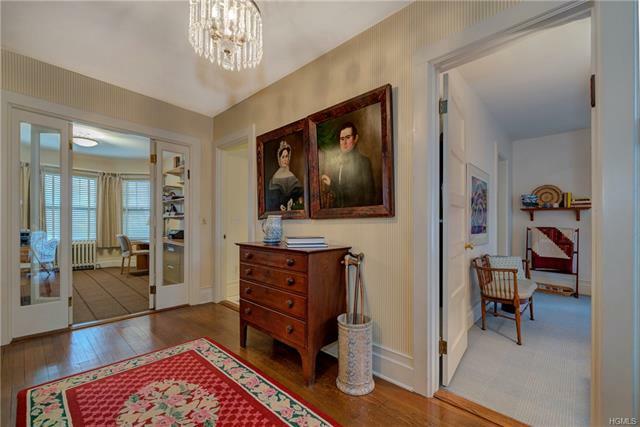 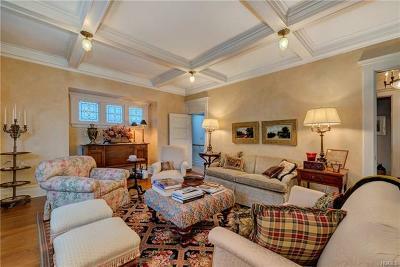 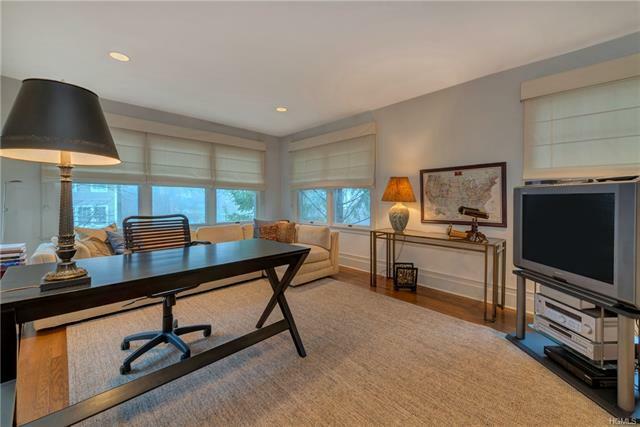 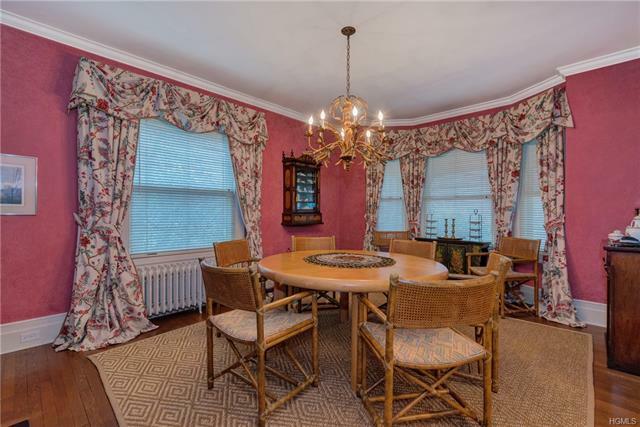 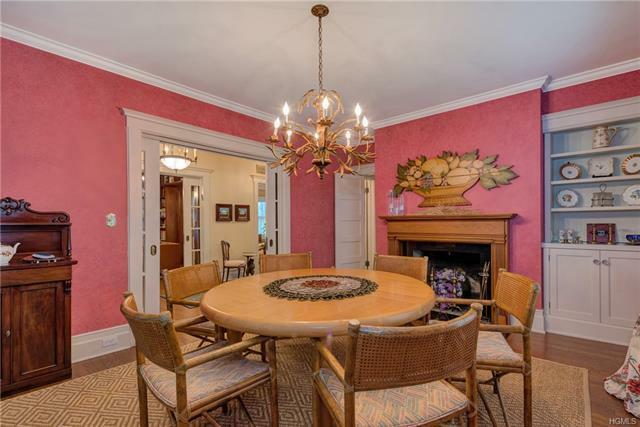 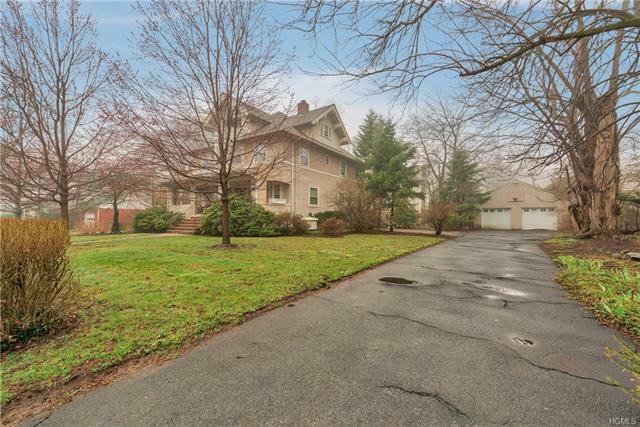 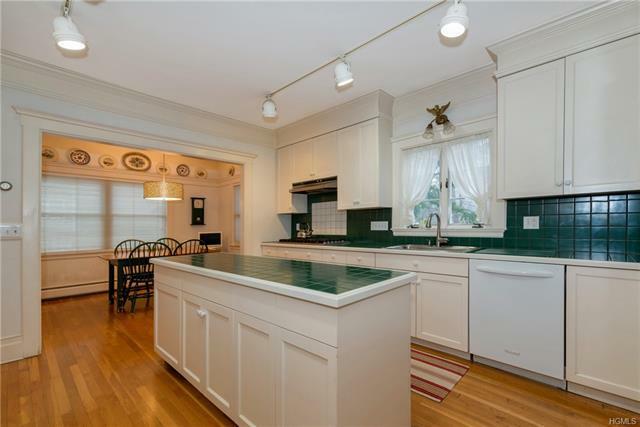 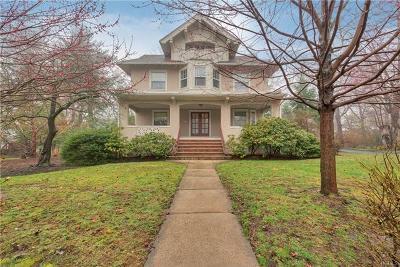 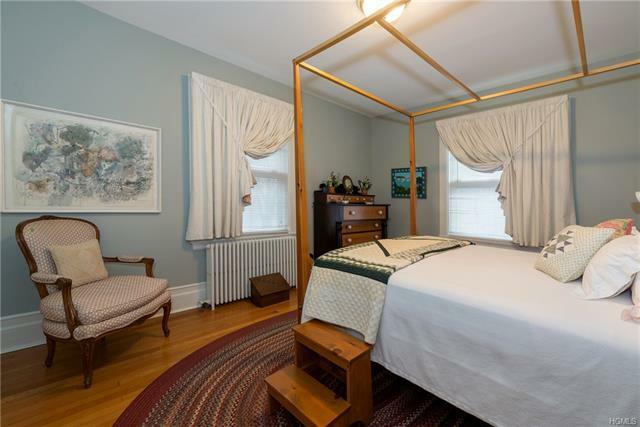 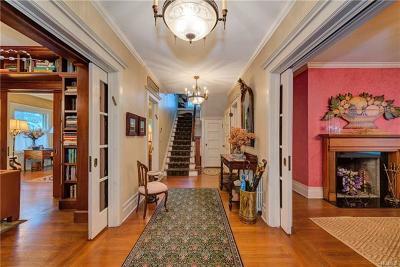 This gracious colonial (c.1902) on half an acre has been totally restored by a master craftsman! 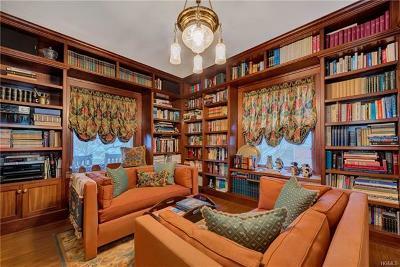 From the wood and glass pocket doors to the beautiful crown moldings and stunning library - no detail has been overlooked. 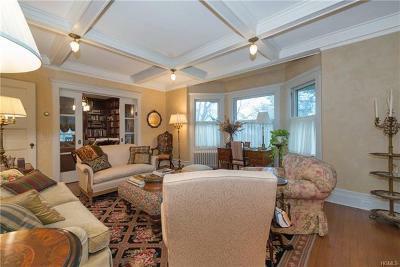 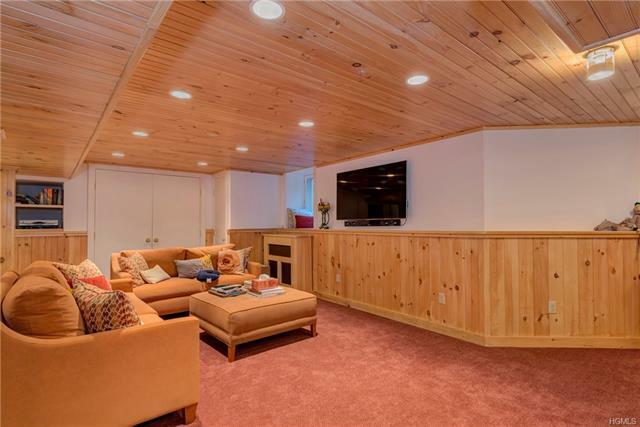 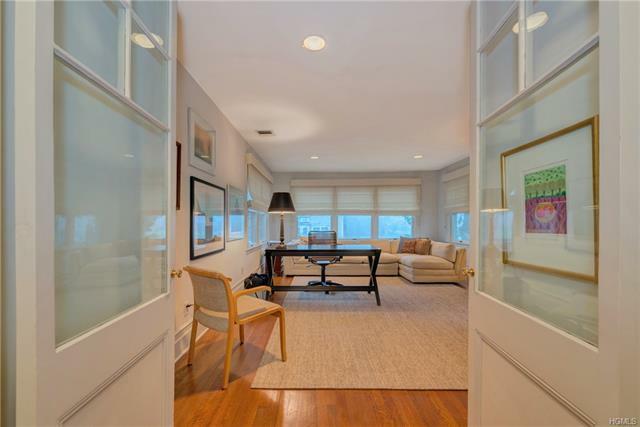 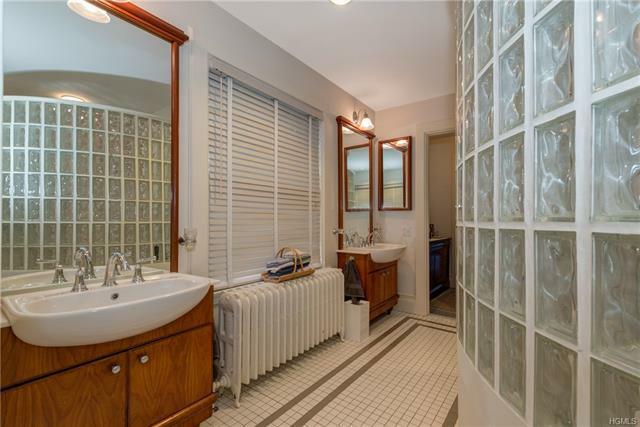 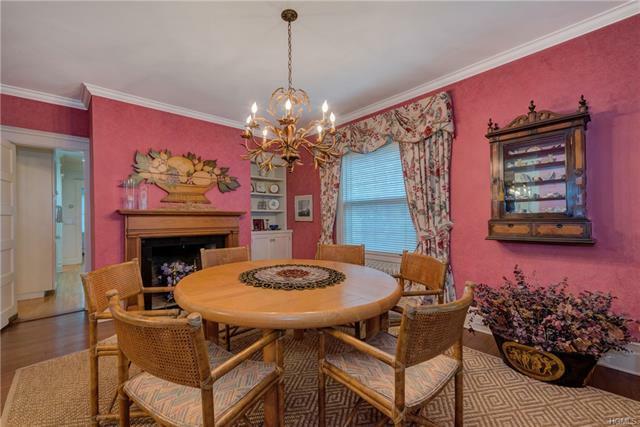 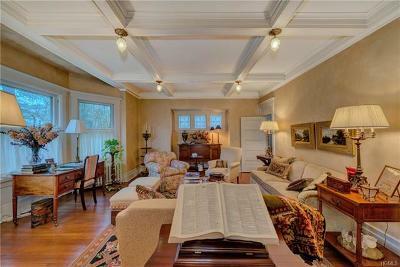 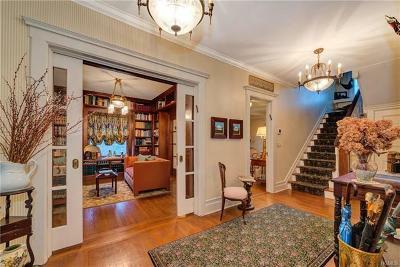 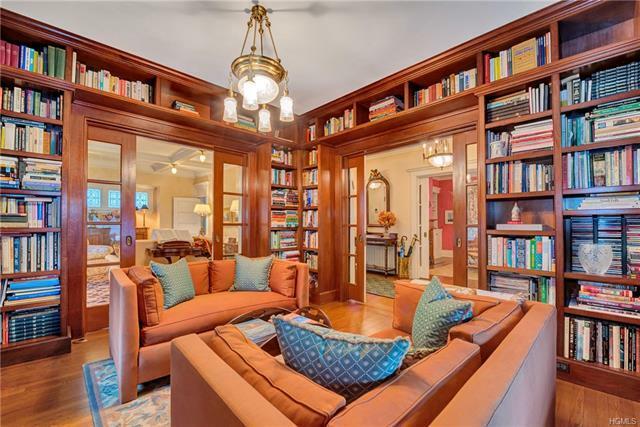 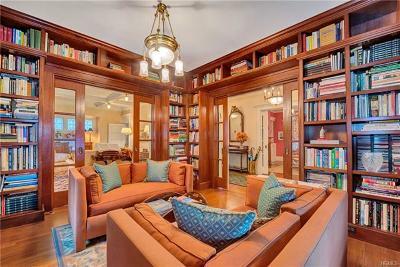 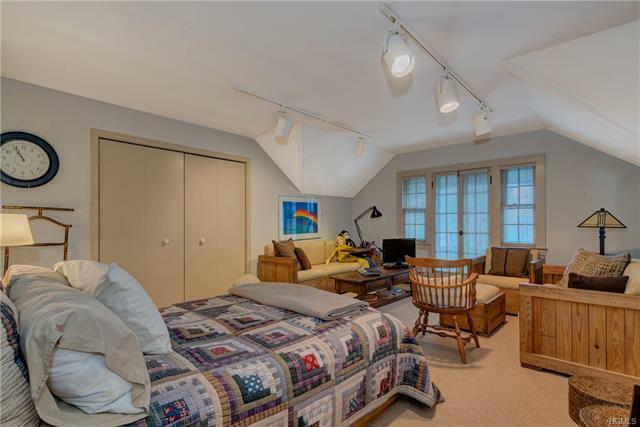 Features of this home include large entry foyer, living rm with coffered ceiling and stained glass windows, and stunning library with original pocket doors and built-in wood panels - ready to house your rare book collection. The spacious dining room features built-in cabinets and cozy wood fplc - great for special occasions. 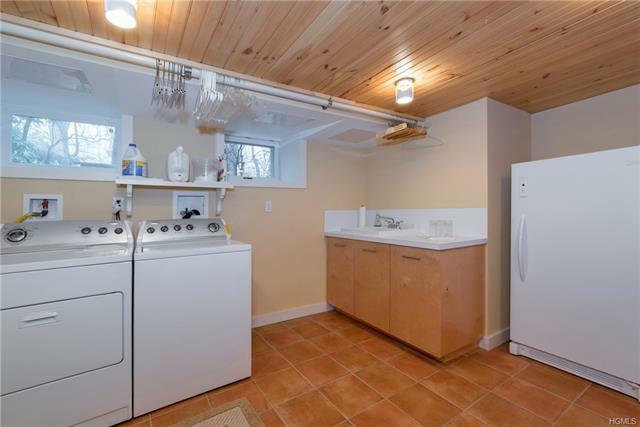 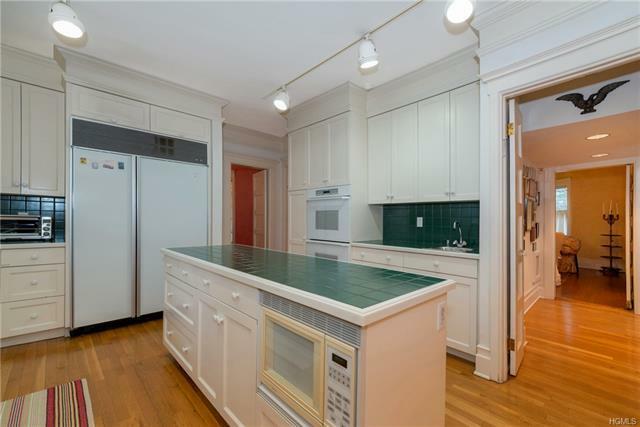 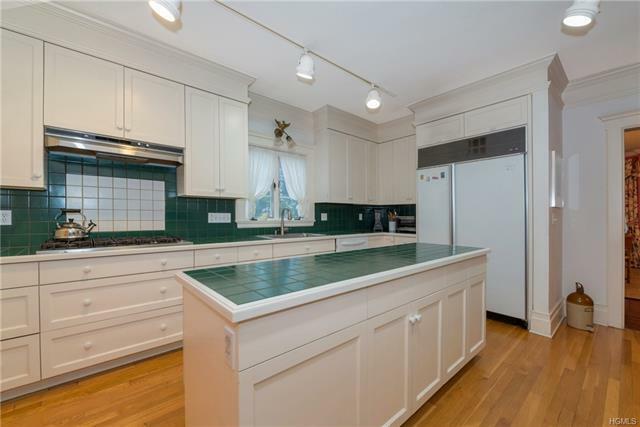 The updated kitchen complete with breakfast rm has two pantries, sub-zero refrigerator and loads of counter space. 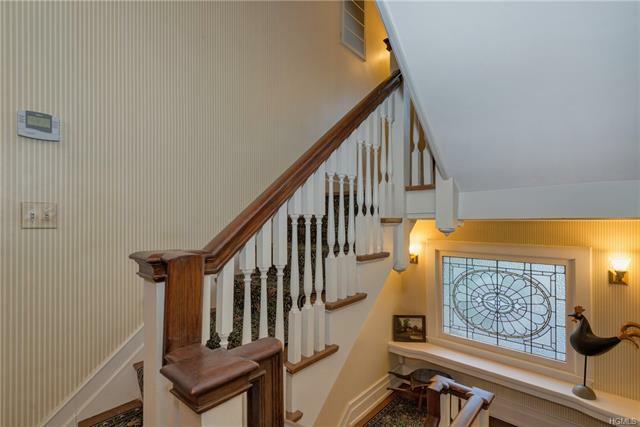 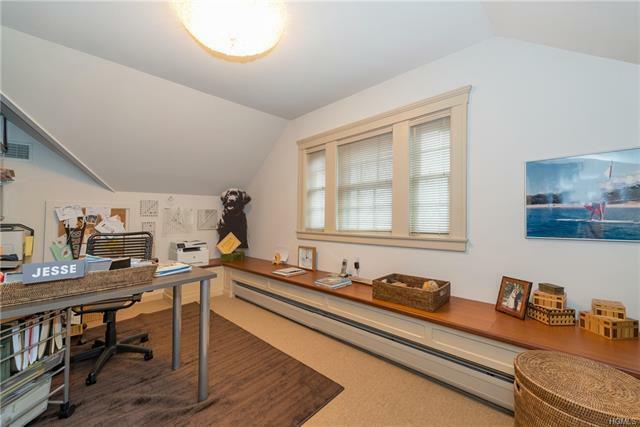 Upstairs are 5 BR, 3 full BA, an office and ample attic storage. 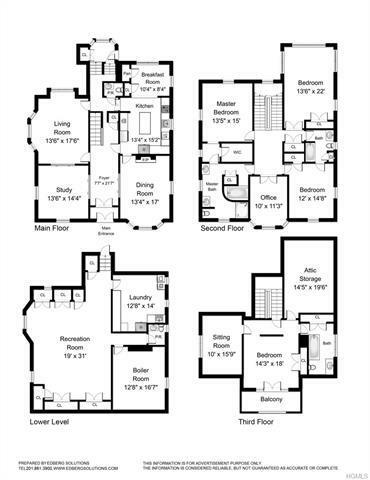 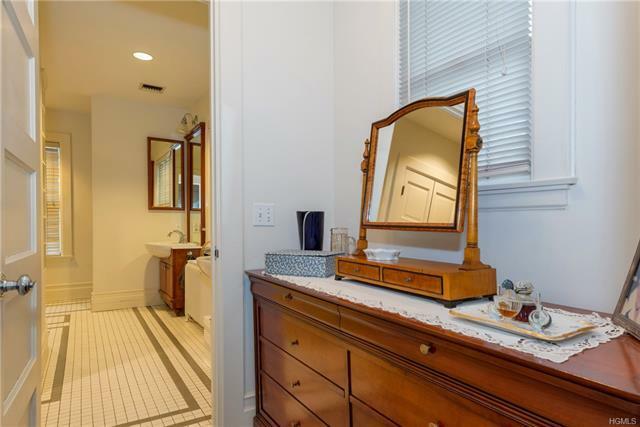 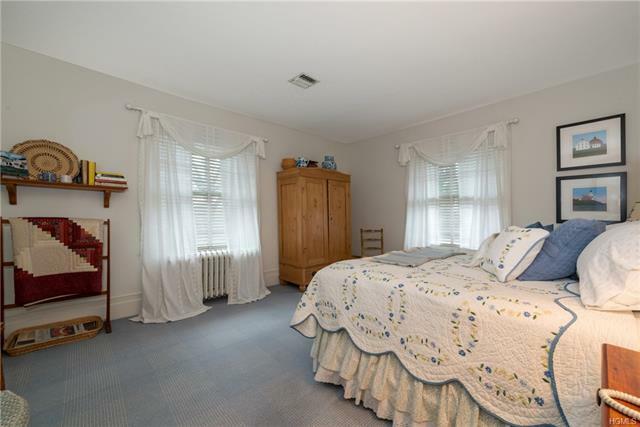 The Master suite has dressing rm, walk-in closet and spacious Master BA with Jacuzzi and separate shower. 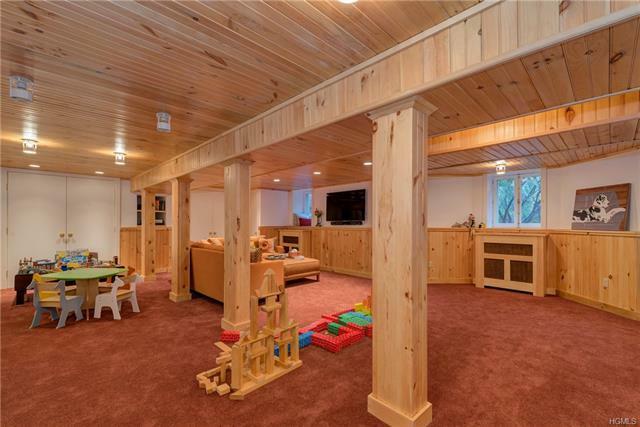 The finished bsmt with family rm and full-sized laundry rm, rocking chair porch, central a/c, generator and 2-car garage complete this magical package.